America is experiencing a historic growth in seniors – and that growth is not projected to slow down anytime in the near future. 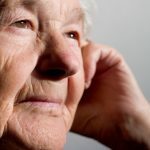 With the dramatic increase in older Americans has come an increased awareness of issues that impact them, including the prevalence of elder abuse, neglect, and financial exploitation. States across the nation are scrambling to try and prevent, or at least combat, the problem of elder abuse, with varying success. 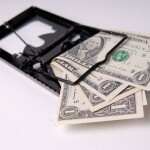 According to a recently released study by Wallet Hub, the State of Connecticut is among the bottom half of all states for elder abuse protection. Experts tell us that the aging Baby Boomers, who began turning 65 in 2011, have led to a “senior explosion” in the United States. 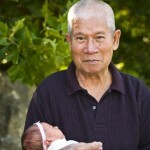 The U.S. Census Bureau expects the population aged 65 and older to nearly double from 43.1 million in 2012 to 83.7 million in 2050. For the first time in history, the number of older adults (age 65 and older) is expected to outnumber their younger counterparts (age 21 and younger) that same year. 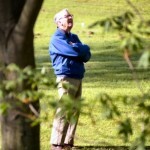 Even before that, in 2030, experts tell us that one in five Americans will be retirement age. Connecticut ranked 37th out of the 50 states and D.C. with an overall score of 43.40 out of a possible 100. To provide perspective for that score, Massachusetts came in 1st with a score of 63.68 and South Carolina ranked last with a combined score of just 15.49. Within the three main categories, Connecticut scored highest in the “Resources” category, coming in 15th. In the “Prevalence” category Connecticut ranked 29th, putting the state around the middle of the rankings. The “Protection” category was Connecticut’s worst category, with the state ranking 49th out of just 51. Elderly Connecticut residents also pay some of the highest long-term care costs in the nation, averaging almost $165,000 per year for 2018. If you suspect that a parent, or other elderly loved one, is the victim of elder abuse, consult with an elder law attorney right away. 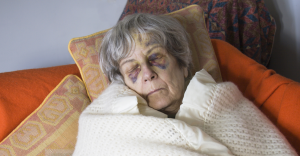 Often, elder abuse rises to the level of a criminal offense; however, elder abuse can also form the basis of a civil lawsuit for abuse and/or neglect against the perpetrator and/or the facility. One of the most difficult problems faced by those trying to battle elder abuse is that victims frequently do not report the abuse, either because they are ashamed to be a victim or because they fear reprisals from the perpetrator. If you suspect something is wrong, don’t wait for your loved one to verify your suspicions because he/she may not be comfortable doing so. For more information, please join us for an upcoming FREE seminar. 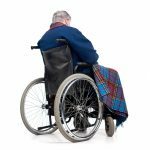 If you are concerned that a loved one may be the victim of elder abuse, neglect, or exploitation, contact the experienced Connecticut elder law attorneys at Nirenstein, Horowitz & Associates, P.C. by calling (860) 548-1000 to schedule an appointment.